“I’d been looking around for some time for a course that would help to release my very pent-up creativity – and I wanted it to be hugely fun, playful, confidence-building, friendly and just the right amount of challenging all at the same time . . . Well, I found it all in perfect measures in Jonathan’s classes. “Jonathan is an exceptionally capable teacher. He has a rare gift for really seeing a person, listening intently to what they have to say, telling them that one thing they really need to hear so they can understand their inhibitions and really dig deep to release their creativity. Playing in many areas (including script, movement, physical, character and those mentioned below) AND Improvised Theatre inspired by the Archetype of The Fool. Telling the story of the moment, in the land where anything, any emotion, is possible, from the irreverent to the sacred. From the daft to the deep. From the hilarious to the hallowed. With playful exercises, these sessions will stretch your acting muscles and offer new ways to play, to create and to perform. Come and develop your palette and tools, play with a broader set of choices, and find more freedom to act, both on stage, and in life. • Incorporating your personal experience in the moment. Jonathan is an experienced teacher and group facilitator, and has been teaching theatre, both with the WEA, and independently for over 10 years. Since 2007, his theatre company has won and been nominated in most of the available prize categories at the Brighton Fringe, and two participants of his one-person show training course went on to win Argus Angel Awards for their shows. Exercises can go off in weird directions & tangents (eg funny to serious,serious to funny) but JB doesn’t mind / is flexible..there’s no wrong or right. I can arrive 10 am tired, dubious and leave 1pm revitalised, more positive, laughing. “Thank you for your show. I loved it. It was a brilliant piece of story telling. It was great to be part of something intimate…. engaging, moving, challenging, compassionate and funny. I particularly enjoyed the improvised aspect of the show and thought that the comic asides and meanderings very much enhanced the deeper drama of the story. It was inspiring and exciting to see how much can be done by a single performer and a musician with no props… Your show was better than pretty much anything I have seen in the theatre over the last couple of years. Afterwards, I felt that I had been taken on a journey and come back knowing something new – which is just what theatre should be like.” Andrew Miller, co-director, Wishworks Puppet Theatre Company on Iron John, by Jonathan Brown, Dec 2014. 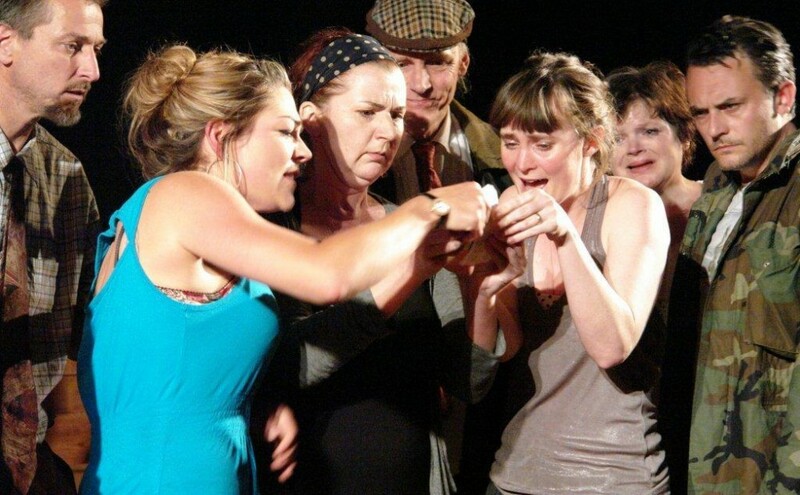 Winner: Best New Play Award, Brighton Fringe 2012 (Jonathan Brown, The Last Lunch). Nominated: Best Male Performer, Brighton Fringe 2007 (Jonathan Brown for The Father Monologues). Starting again at Evolution Arts, Weekend workshop: 29/30 Sept 2018.